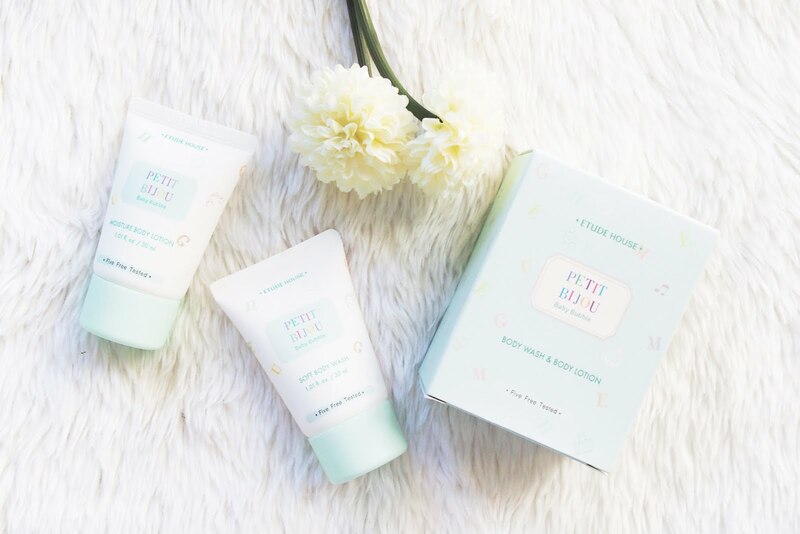 Got this Petit Bijou Baby Bubble trial kit from my previous Etude House loot. It so happened that it had been sitting for quite some time and only got a chance for the testing department until recently. I wanted to share this product because I just can't get enough of it and happy that I got to try the product out. The Petit Bijou Baby Bubble Soft Body Wash - it had a very translucent liquid-ish form, it's baby powdery scent is very pleasant, I looove it . The scent is actually strong enough that I could smell it instantly even without opening the box yet. My skin felt light, soft and it had a slightly noticeable glow after shower. 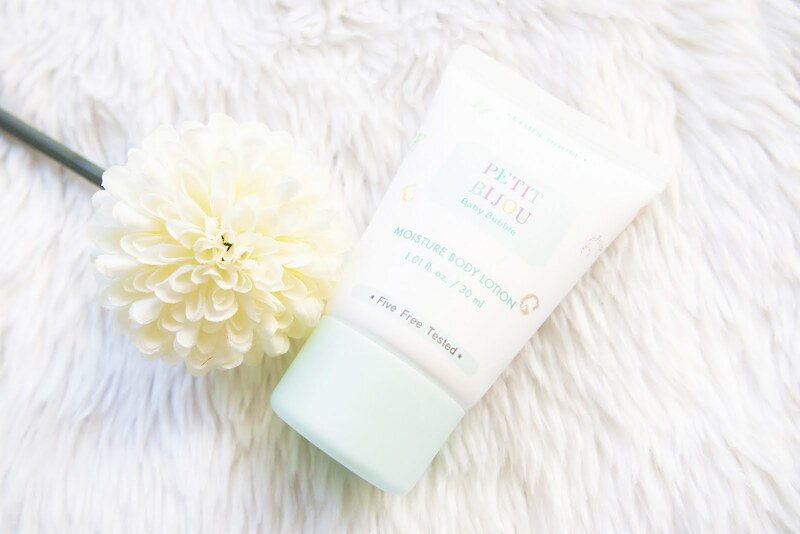 I have fair skin so actually sometimes I'm can't see the difference if the product helped lighten my skin or not but with Petit Bijou it seemed to have a certain kind of glow, it's minimal but visible. Plus, the scent (again) I just really love it. 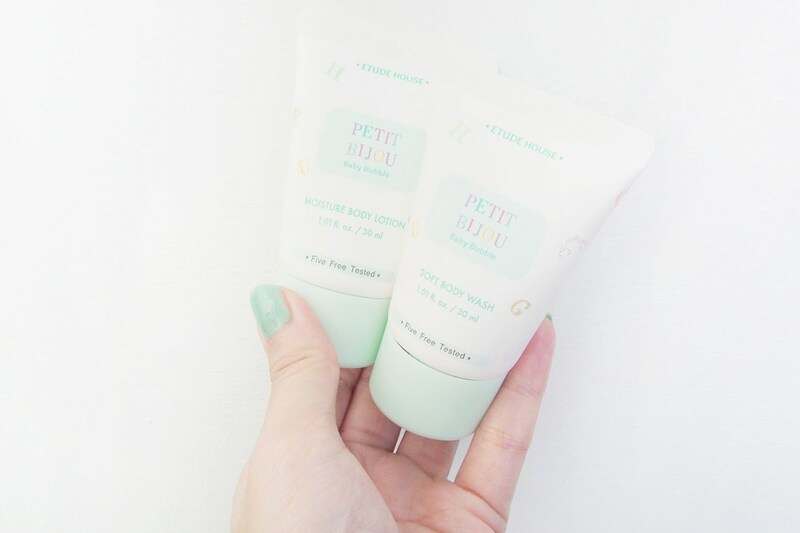 With the Petit Bijou Moisture Body Lotion - it's a nice moisturiser specially if you'd like to feel and smell like a baby, haha. Though I have to give the points to the body wash when it comes to scent. Btw, I applied the lotion after shower the same day I used the body wash. I loved both products and probably purchase again. These are obtained for free as gift from Etude House so I don't know the prices, I haven't checked but will do once I get to step out of my home (where I usually am). I'm planning to try other variants from the Petit Bijou Collection like the Allover spray or the Cotton Snow one.